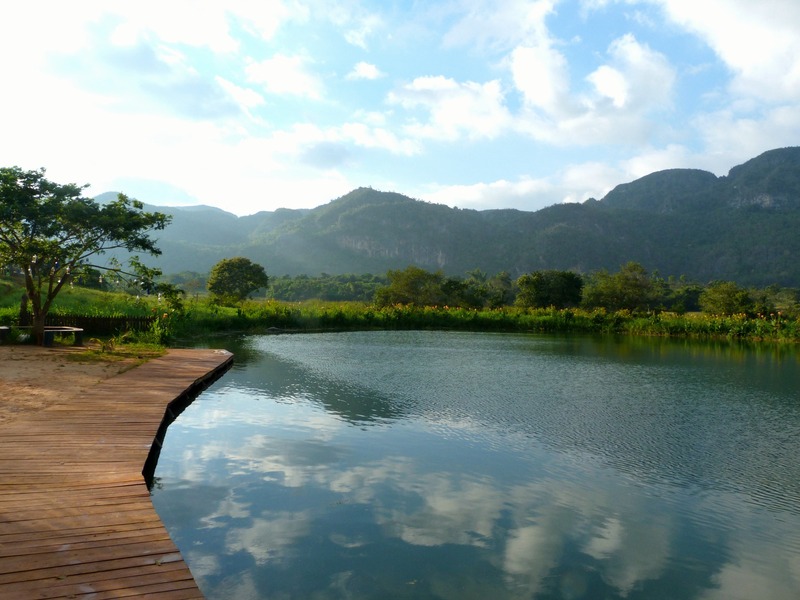 The countryside around Viñales is beautiful. 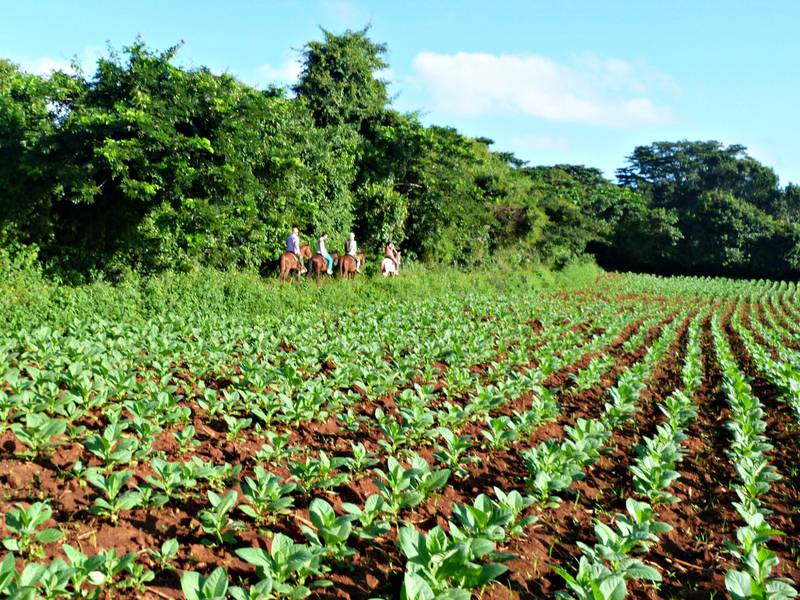 If you haven’t been to the tobacco fields, it’s like you haven’t visited Viñales really. How can you explore or discover all the great things in the countryside? 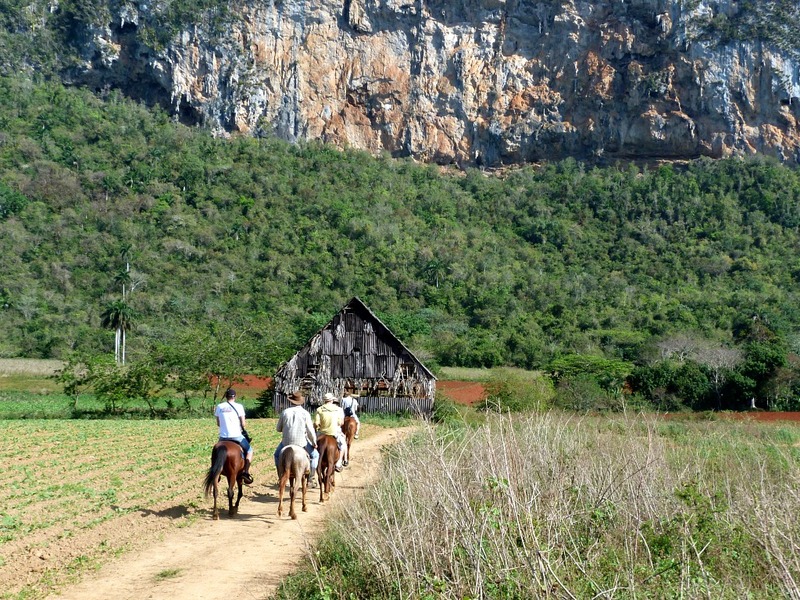 The best way would be to go horseback riding in Viñales, Cuba! The red earth of Viñales can be quite muddy at times, which makes it difficult to go walking. But the horses have no problem navigating the trails. On top of a horse you will feel like a cowboy amongst fertile fields, animals and red earth. 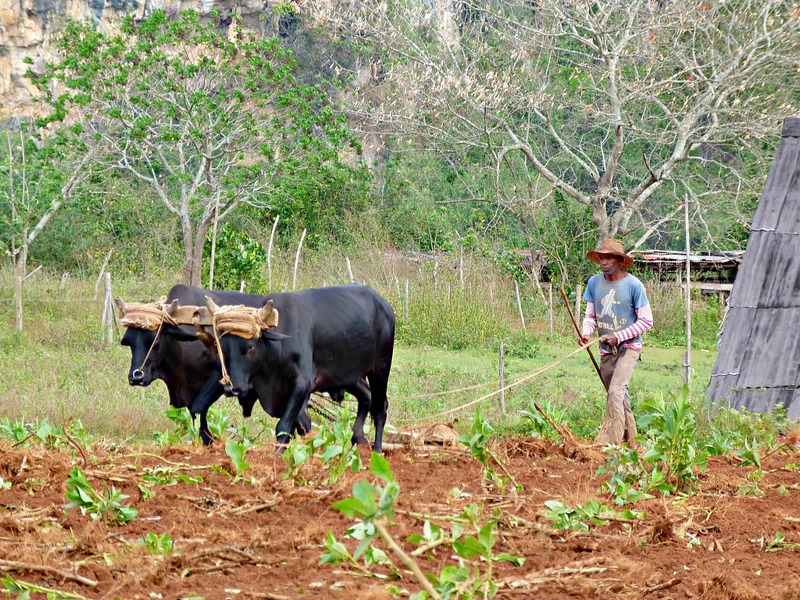 You can see the tobacco plantations and the typical mogotes of Viñales. 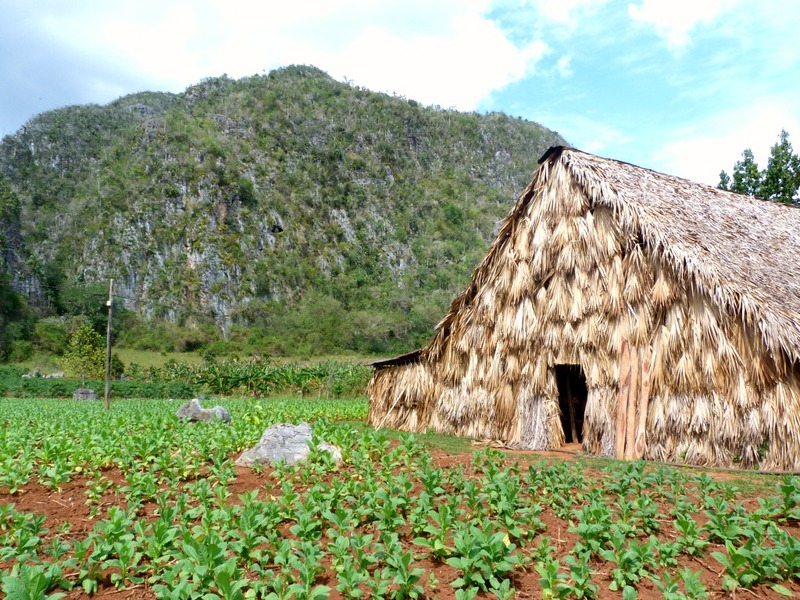 Juan José is 47 years old and lives at the edge of Viñales with his wife, his only daughter and her boyfriend. Right in front of his house begins the countryside. 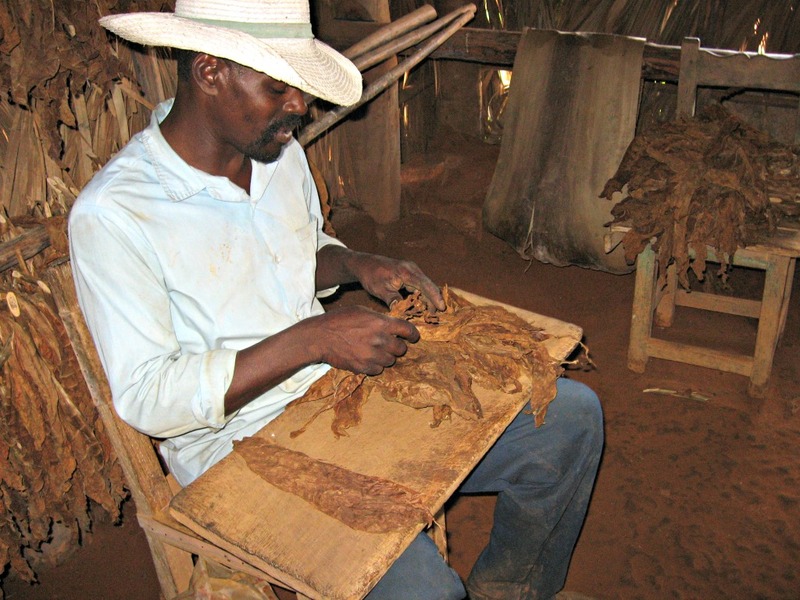 He has always lived in Viñales and has been working with tourists for years. He loves showing tourists around his beautiful hometown and its surroundings. You will meet your guide Juan José at the town square of Viñales, in front of the church. From here, he will take you to his house, which is about 10 minutes walking at the edge of town. If you have never ridden a horse before, don’t worry: Juan José will ask about your experience and find you a suitable horse. 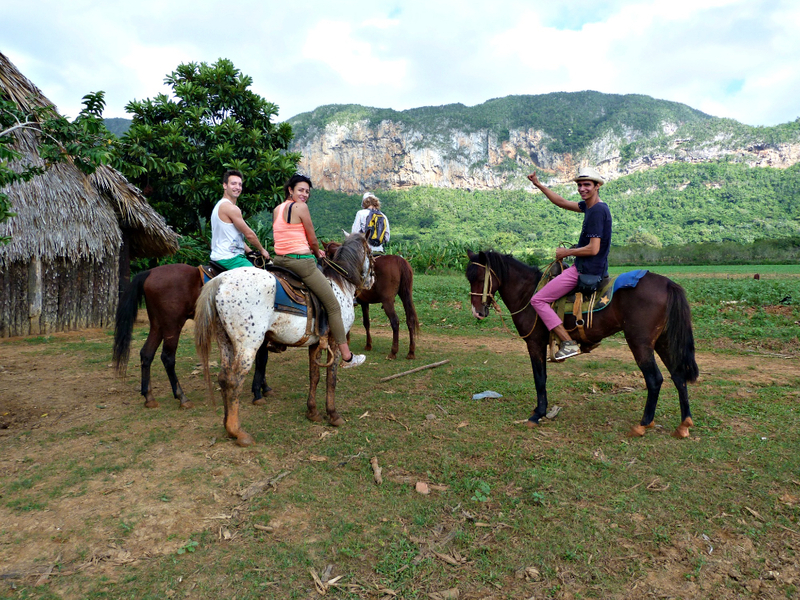 After putting the saddles on, you are ready to go horseback riding in Viñales, Cuba! 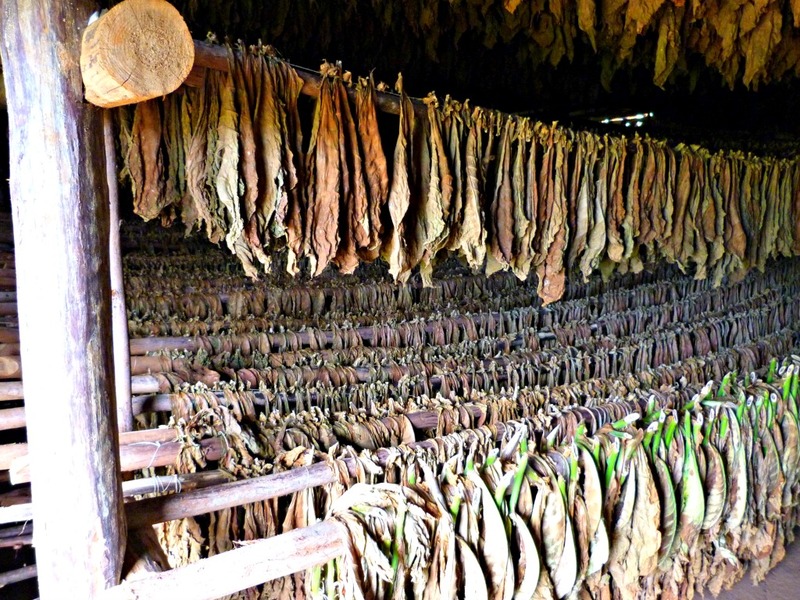 The first stop will be at a farmer’s house, with tobacco plantations and typical ‘secaderos’, which are drying barns. This house is not touristy, it is in the center of the Valle del Palmarito and the farmer will explain you everything about the cultivation, harvest and drying of the tobacco. 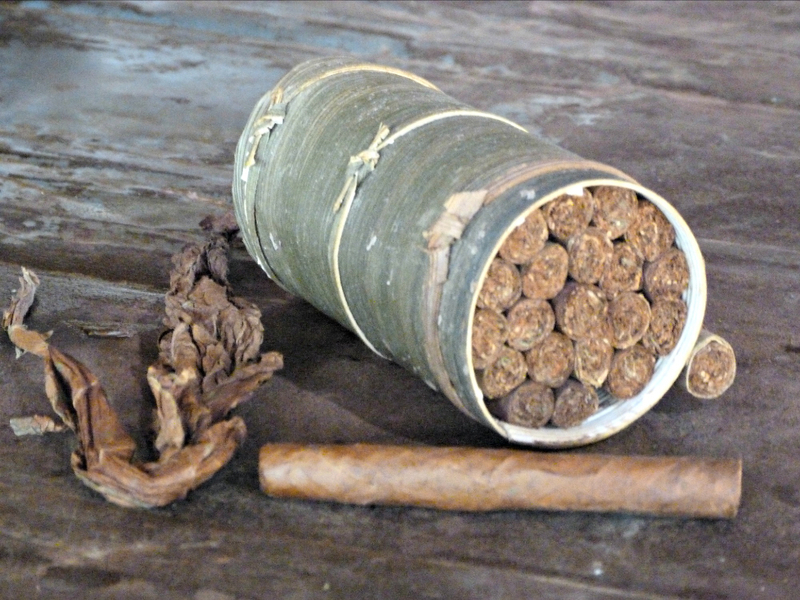 Of course you can also try a Cuban cigar or buy some to take home with you. After learning about the tobacco plant, you can buy some drinks like a mojito or natural fruit juice, while relaxing and appreciating the views over the beautiful countryside. 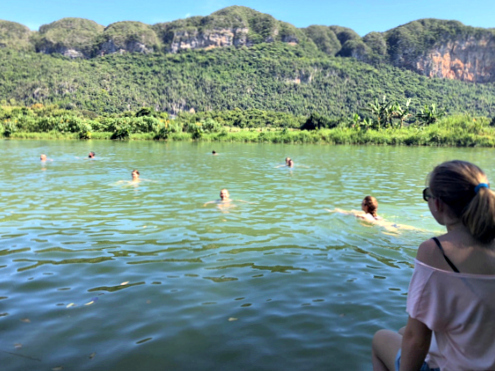 If the season and the water level allow us, we will also make a stop at the natural lake in the valley of Viñales, where you can even jump in the water and have a swim. Great on a warm day! After the stop you will continue the tour back to your starting point. 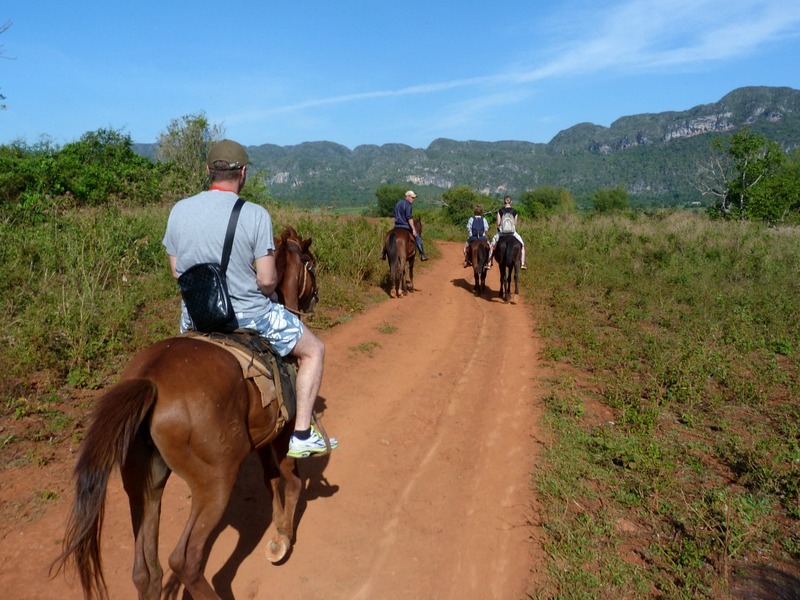 This private excursion will last about four hours, of which two hours on horseback. 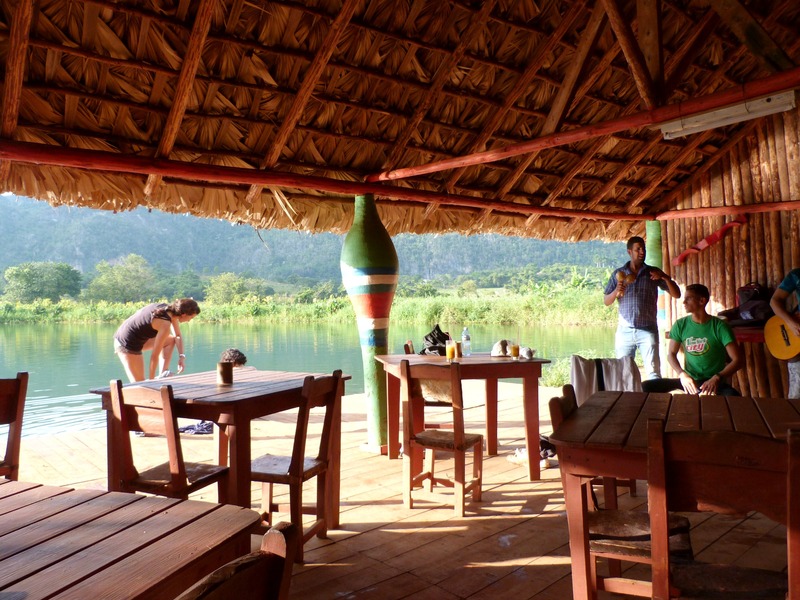 The rest of the time will be spent exploring the typical sights of the Viñales Valley.